This photograph was taken around 1850. 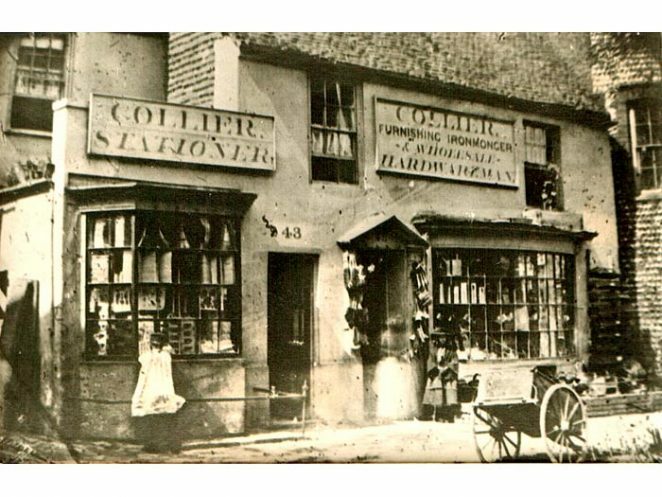 As in the photo from the 20th century, the site is still occupied by a stationers shop. The side window in the flint wall is still to be seen today. 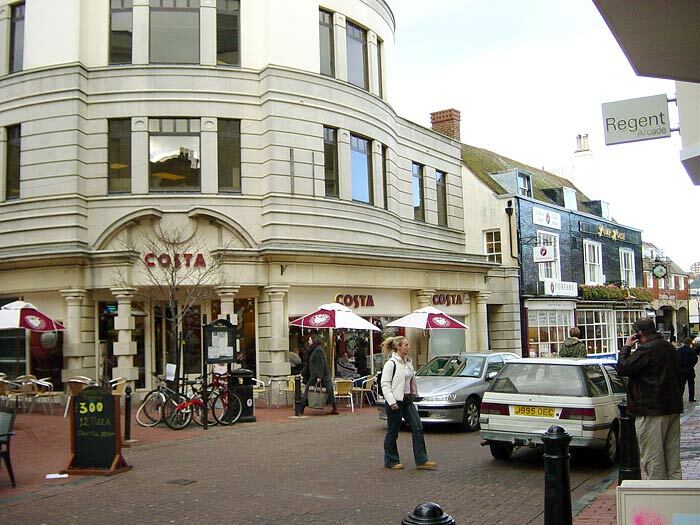 The buildings on the site of Costa’s coffee shop are completely different. The photographer, George Clayton, referred to this as ‘Gillett’s corner’. The building to the right, though, is virtually unchanged in 2004. Notice the shape of the roof and dormer windows, and the side-window next to the drainpipe. This is the corner of Nile Street and Market Street in The Lanes. Check out the first floor window in the white wall to the right of Costa’s coffee shop, with the older views. 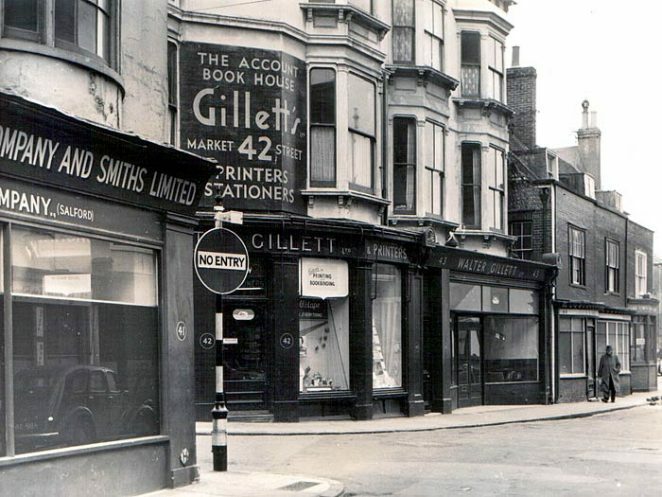 Gilletts Shop and Office equipment showroom were in 42 and 43 Market Street, not Nile Street. Admitted the Printing works, Bookbinders and manufacturing side of Gilletts was indeed in Nile Street, (all one side of it in fact). Such a shame to see that it’s all gone. I grew up in Nile Street, at No. 2A, in the 1960s and remember the 20th Century view. Gilletts had an ugly concrete factory building along the whole northern side of Nile Street with no doors or windows at street level at all. The building on the corner on the left was at one time a hairdressers with a odd comment under the name of the firm ” Late of Colombo (Ceylon)” that I think I associated with death.